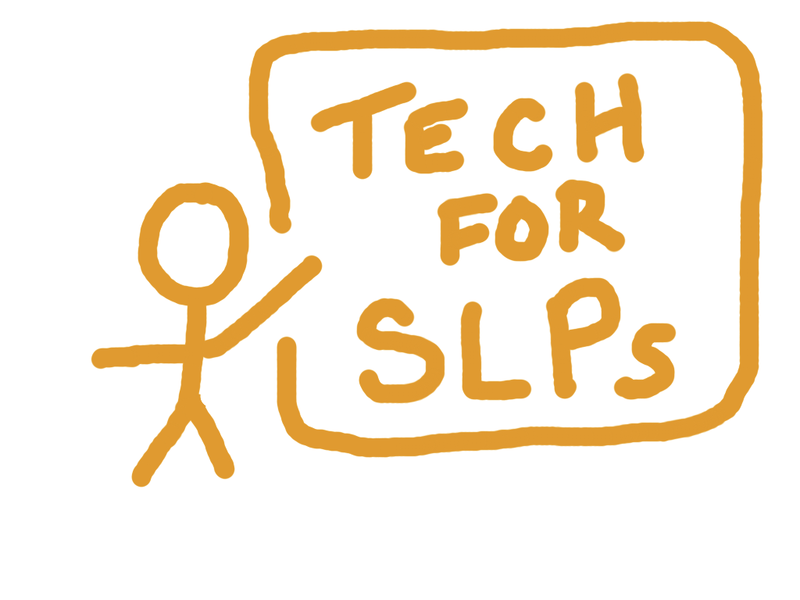 My work with this blog and other writers and wonderful professionals in the SLP world have inspired me to continue to spread the word about technology and context in therapeutic interventions. 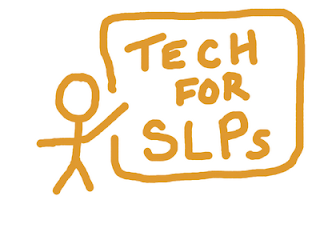 If you are interested in hearing more about what I have to say and what technology can do for the SLPs in your school, practice, facility or organization, please let me know! I am myself a working SLP but I have availability to provide professional development presentations and consultations to your staff. Flexibility in offering presentations and/or consultations that meet your organization's needs. Potential to travel to you or offer presentations and consultations via web technologies such as webinar. A professional approach from a teacher and therapist who understands clinical logistics and the challenges faced by practicing SLPs and special educators. A creative perspective on designing therapy approaches and activities that develop skills and engage students while incorporating vital contexts (real-world, curriculum-based, social). Provision of online and downloadable supporting resources for participants' reference and further learning. Selection and integration of simple interactive iPad and web-based resources into contextual and educationally relevant therapy activities. Overview of iPad and creation tools that students can use to develop storytelling, expository language, academic and curriculum-related concepts, and understanding of social behaviors and strategies. 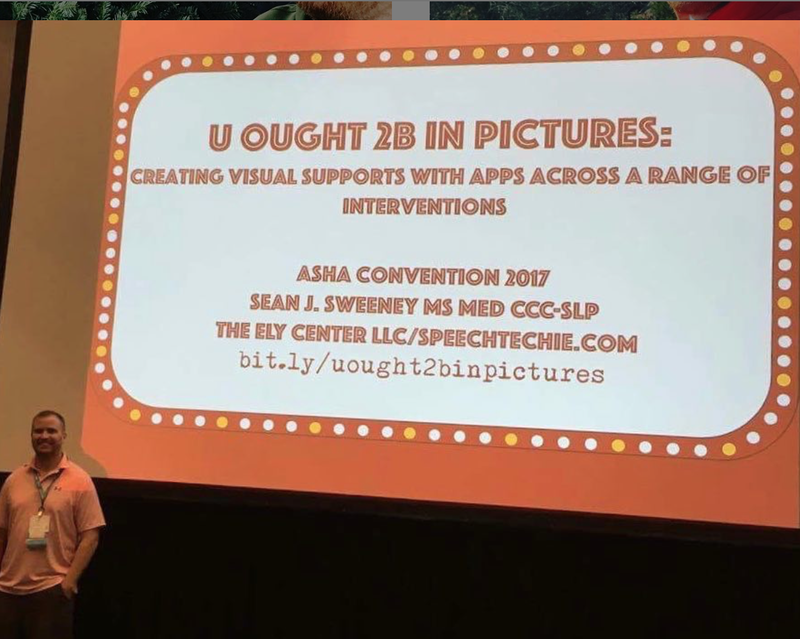 Use of technology to motivate and teach students with autism spectrum or related social communication and executive functioning difficulties. Application of Google Tools for therapy activities, productivity and clinical teaching and supervision. Evaluation and integration of mobile technologies (iPad and apps, other platforms) in therapies. "Make and Take": A Day for Guided Practice and Collaboration- using a variety of tools particularly for creating materials and activities for social cognition, executive function and narrative language (3 hrs-full day). "Integrating the iPad for School Administrators and Support Staff"- focus on aspects and tools related to iPad helpful for productivity, communication, staff development and evaluation. Certified Speech-Language Pathologist (CCC-SLP) with an additional M.Ed. and experience in the field of Instructional Technology. Consultant to Mindwing Concepts, Inc, creators of the Story Grammar Marker ®. Veteran public school SLP (10 years) and Instructional Technology Specialist (2 years). Private practitioner and consultant at The Ely Center in Newton, a specialized clinic focusing on social communication issues primarily through group treatment, for the past 12 years. Created this blog in 2010, which subsequently became the winner of the 2010 Best New Blog award from Edublogs, an organization celebrating blogs related to professional development and classroom learning. Regular contributor to The ASHA Leader, the national magazine of the American Speech-Language Hearing Association, and the Mindwing Concepts Blog. Experienced in providing professional development and education at area and national school districts, clinics, conferences, and annual national ASHA Conventions. Attended Social Thinking® Clinical Training Level 1-A in San Jose, CA in 2013 and Completed Story Grammar Marker® Certification Course in 2014. Although I am unable to offer these services free of charge, you will see my fees are reasonable. 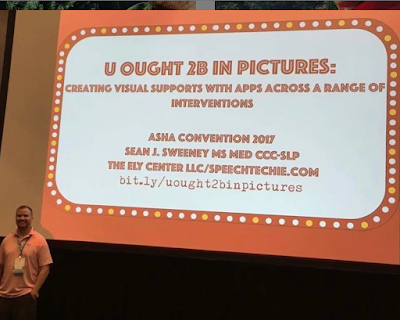 If you are interested in speaking with me about a presentation, consultation or webinar, please contact me at sean@speechtechie.com.